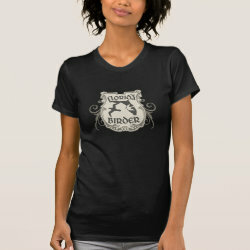 Show your Florida Birder pride with this original shield-style design! The state is shown in silhouette along with two flying birds and a passerine perched More... on the letter A. 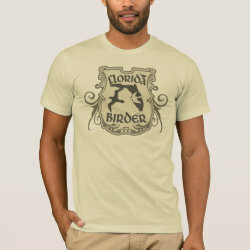 Whether you're a longtime Florida birder or have explored the wonders of the Sunshine State on a birding journey, this is for you! 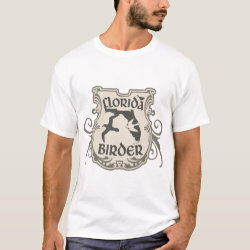 From Merritt Island to the Keys, from St. Marks NWR to birding Miami's exotics -- you're sure to fit in with original Florida Birder swag!